First and foremost, this shade is so lady like and elegant, it actually makes my short, stubby hands feel somewhat attractive. Uptown is a lovely, dusky rose pink colour, perfect on the nails all year round and goes with pretty much anything you choose to wear. 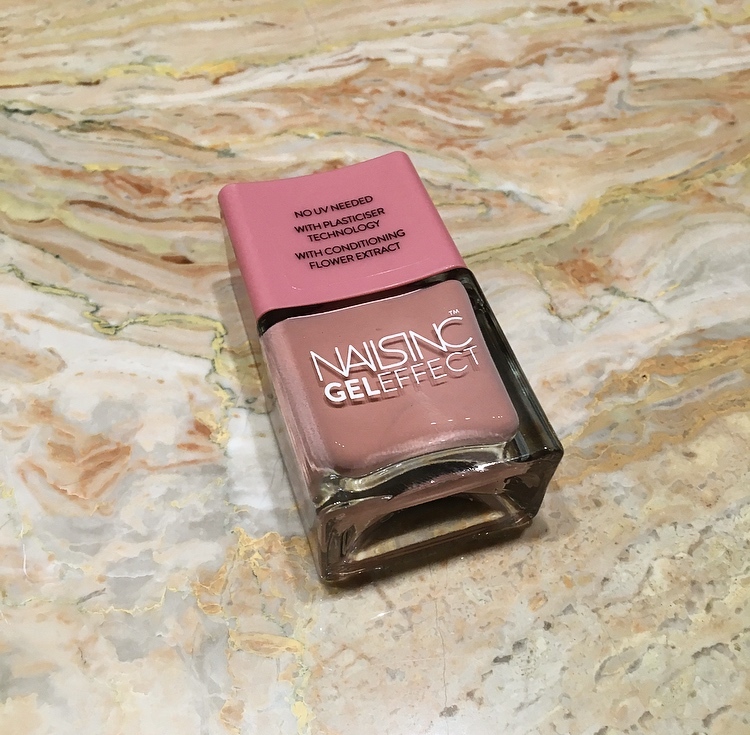 Nails Inc. have recently revamped their packaging and formula of their products (I say recently but I think it’s just been a while since I’ve wandered in to the Nails Inc. section) and I like what I’m seeing. Their polish bottles are now a chunky rectangular shape and the new formula and wide brush helps the polish glide on effortlessly. My day-to-day job entails a lot of heavy duty labour on my hands but this stayed put for about 4 days before I saw even the tiniest chip. And because the shade is so neutral, when it does chip you can get away with it that tiny bit more than something as bold as red or plum. I’ve also been told under good authority that their Superfood NailKale Base Coat is AMAZE although I’m yet to try this out myself.